‘You’re not you when you’re hungry’.To dramatise the effect hunger can have on you, BBDO Moscow produced these eye-catching billboards. 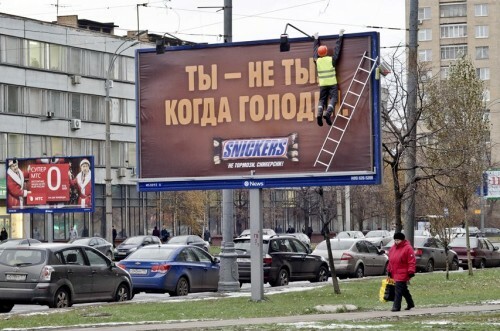 The Outdoor Advert titled ‘Ladder’ was done by BBDO Moscow advertising agency for product: Snickers (brand: Snickers) in Russia. It was released in the Nov 2011.